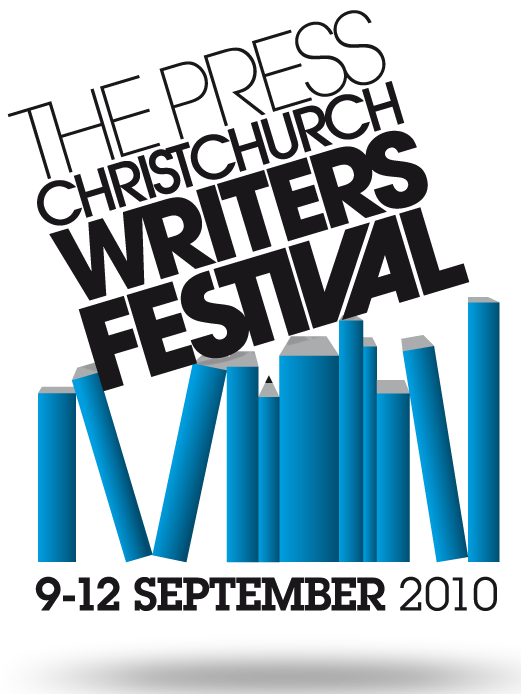 A bit of advance warning that crime fiction fans in New Zealand (or those who fancy visiting New Zealand) should keep the dates of 9-12 September free, so they can head along to The Press Christchurch Writers Festival 2010. It's going to be fantastic. I returned to New Zealand just after the previous festival (it runs every two years), which unfortunately meant I missed some great events, including a terrific crime-writing panel with locals Paul Cleave and Vanda Symon, and international heavyweight Mark Billingham (one of my all-time favourite crime writers). I was hoping to see some similarly great crime fiction events at the Auckland Writers and Readers Festival last year, but unfortunately their author event line-up, although larger and over more days, failed to embrace crime fiction (and other genres), whether international or local. And the same is true of this year's line-up, which is a real shame, and a missed opportunity in my humble opinion. 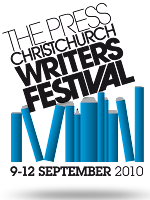 But never fear crime fiction fans, because in September the Christchurch Writers Festival, proudly supported by The Press, rides in to the rescue. In a way it is somewhat appropriate that Christchurch would lead the way in embracing crime fiction within its literary festival, given that it is the hometown of the legendary Dame Ngaio Marsh. As an aside, while you are at the festival, you could actually visit Dame Ngaio's historic home in the Cashmere Hills - it's open to the public, by appointment. The official festival programme has not yet been published, but I have it on exemplary authority that there will be several crime fiction-related events, with a number of international crime writers, and local crime writers, featuring. Unfortunately I can't say any more right now, but I am very excited about some of the names involved. I will let you know more as soon as I'm able. And if that wasn't reason enough to set aside time for what will be a fantastic festival, there are also some growing rumblings of very exciting things happening in New Zealand crime and thriller writing - some of which are likely to be announced in the lead-up to, and at, the Christchurch Writers Festival. So watch this space, and stay tuned to Crime Watch. Thanks Craig. You have helped me decide re. going or not. I also write crime, but nothing published yet. I enjoyed the last Festival but wasn't sure if I'd head over to this one or not, but it sounds interesting! I liked the laid back atmosphere at the festival in general and the friendliness of the writers.